Search foreclosure listings, including real estate and foreclosures for sale in Maryland, Virginia, Washington,D.C., West Virginia, Delaware, Pennsylvania, New Jersey and North Carolina. This quick and easy real estate search is designed specifically to locate only foreclosures for sale in the area and price range you select. Begin your search for foreclosures and real estate for sale now by entering your preferences and hitting go! Foreclosure information has traditionally been very difficult and time-consuming to find, but Long & Foster wants to solve this problem and, as a service, conveniently deliver the latest and most up-to-date foreclosure properties information to the homebuying public. Now, anyone with an Internet connection and an interest in buying below market properties may view available foreclosures along with their other searches for a new home. Before shopping for a home, contact Prosperity Home Mortgage. We'll review your information and, if you qualify, provide you with a preapproval letter for a certain loan amount and terms. To get started, fill out our online preapproval application . 3.All MLS listings are ©2006 Central Virginia Regional Multiple Listing Service, LLC. All rights reserved. No one may copy and/or repost these MLS listings, or any portion thereof, without the written permission of an authorized officer of the Central Virginia Regional Multiple Listing Service, LLC. 5.The information provided is for consumers’ personal, non-commercial use and may not be used for any purpose other than to identify prospective properties for purchasing. Listing data provided by Central Virginia Regional Multiple Listing Service, LLC as of . Listing data provided by Metropolitan Regional Information as of . Listing data provided by Real Estate Information Network as of . Listing data provided by Adam and York Counties as of . Listing data provided by TrendMLS as of . Listing data provided by Chesapeake Bay River MLS as of . Listing data from CARIDX program of the MLS. The information being provided is for consumers' personal, non-commercial use and may not be used for any purpose other than to identify prospective properties consumers may be interested in purchasing. Listing data provided by CARIDX MLS as of . Listing data provided by Sussex MLS as of . The data relating to real estate for sale on this website comes in part from the Internet Data Exchange (IDX) of the WMLS. The IDX logo indicates listings of other estate firms that are identified in the detailed listing information. The information being provided is for consumers' personal, non-commercial use and may not be used for any purpose other than to identify prospective properties consumers may be interested in purchasing. ©2006 Williamsburg Multiple Listing Service, Inc. All Rights Reserved. Listing data provided by Williamsburg MLS as of . Copyright 2006 Lehigh Valley Association of REALTORS, Inc. Listing data provided by LeHigh MLS as of . Listing data provided by Albemarle Area Association of Realtors MLS as of . Listing data provided by Keystone as of . Listing data provided by Roanoke Valley MLS as of . Copyright ©2006Garden State Multiple Listing Service, L.L.C. All rights reserved. Listing data provided by Garden State MLS as of . Listing data provided by New River Valley Association of Realtors MLS as of . Listing data provided by Eastern Shore Virginia as of . 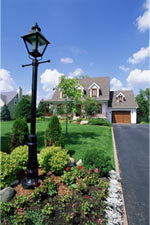 Copyright © 2006MIDDLESEX COUNTY MULTIPLE LISTING SYSTEM, INC. All Rights Reserved. Listing data provided by Middlesex County Multiple Listing System, Inc. as of . Copyright © 2006 MONMOUTH MULTIPLE LISTING SERVICE, INC. All rights reserved. Listing data provided by Monmouth / Ocean Multiple Listing Service as of . 3.All CIE listings are ©2007 Central Virginia Regional Multiple Listing Service, LLC. All rights reserved. No one may copy and/or repost these CIE listings, or any portion thereof, without the written permission of an authorized officer of the Central Virginia Regional Multiple Listing Service, LLC. Listing data provided by Cape May County Association of Realtors as of . Listing data provided by Triangle Multiple Listing Services, Inc. as of .